4 GOALS, 5 STAR PERFORMANCE – HOW DID THE PLAYERS RATE, AND WHY WAS HE CHOSEN AS MOTM? 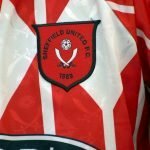 Sheffield United continued there assualt on the Championship table with a 4-0 victory over Reading, mirrowing their the same result recorded against the Royals in 1998. 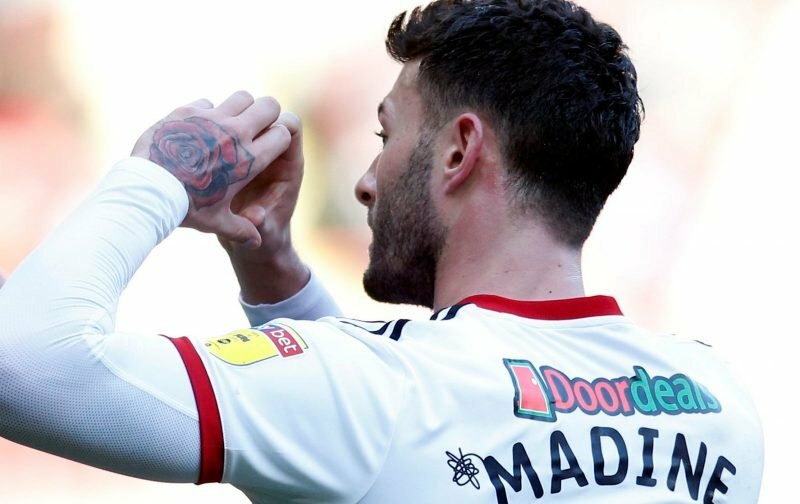 The victory, which saw Gary Madine score his first goals in a Blades shirt as he found the net twice, after Kieran Freeman had given them the lead inside the first time. In the second half John Fleck’s deflected shot was enough to spill past the keeper to complete the route. It was an excellent performance, in what was otherwise a depleted side with various changes made due to rest, injuries and suspensions. Regular message board poster Deadbat_DB has given us a run down on his ratings of each Sheffield United player who played in that victory yesterday. He has chosen his Man of the Match – but who was yours? Henderson 7/10 – Little to do first half at all. I am not sure he had anything to do other than a few kick outs. It carried on 2nd half as he intercepted a few through balls but the first shot they had I think was on 85 minutes. This was a long ranger and a really good save. He then saw a curler and a free kick go wide but it was a really easy game for him. Freeman 7/10 – Was surprised he played as he seemed to be in the dog house not even being on the bench at times in recent weeks after the Barnet game and Baldock getting in and staying in before Xmas. He did what he does well, which is get forward and be a goal threat. He scored in a minute as he anticipated well and bundled home and then had another great jinking run which nearly led to a chance. He also made another clever run and cross as he was a real threat. Defensively he did ok and 2nd half did not get forward as much as we saw the game out but pleasing that he showed he was back to the form he can show. He does offer that goal threat which Baldock does not. I would still restore Baldock at WBA as against good and pacey wingers, he struggles to defend – got done with a reverse ball after a give-away first half as an example but that is nit picking. Johnson 7/10 – Did ok today. At times he still makes poor decisions on and off the ball and does not seem the most intelligent footballer as runs behind players or plays passes where players do not run. However, he was good first half. He got to the ball first defensively and showed his pace. He put in several excellent crosses and we nearly scored from a few and did scored with the third one. Second half his running and overlapping was a real outlet and he got forward more than Freeman. He should have scored – the first chance he was pushed a bit wide but went near post and was wide and then he did go across the keeper but he made a good save. Maybe the best he has played for United but I will argue it is the first time he has started a game when many of the other normal players have played and he could feed off some of the passes. Stevens 7/10 – Played a steady game in an unfamiliar left centre back position but he got to the ball first several times and still got forward. Should have scored with a header after the head tennis in the box. Against some pacey players he stuck to his task and felt he read the game really well and can come onto it more at centre back; technically he is much better than we probably think and a really solid top end Championship defender that has shown his versatility this week. Egan 7/10 – Steady performance where he faced a different opponent to the mid-week Boro game. Oliveira was a bit trickier and more mobile than Hugill but Egan dealt with him well. He did not have too much to do in terms of crosses or through balls but got a few foot ins when he had to and was just reliable and made no mistakes of note. Cranie 7/10 – As above and felt he also used the ball well and actually came forward and stepped out. He did pick up a clumsy booking (had been warned first half) but he has been really solid the last two games and done a sterling job. Will probably have to play bits and pieces in the run in but a handy lad to have about as he can play both centre back and right back/wing back as he showed today in one game. Fleck 8/10 – Back to his best. The weak parts were him giving it away a few times actually including one that led to the Norwood booking but he was able to do lots of things we have not seen as much from him today. Made a number of superb tackles and his break up led to the 2nd goal but he also was driving forward and surging at the defence and drew men. He seemed to find some energy from somewhere and looked a new player today than someone who had been a bit leggy at times this season. Even 2nd half he kept bursting forward and was involved in some lovely moves. Norwood 7/10 – He moved it about when he could and was steady if not spectacular. Some lovely crossfield balls and helped us control the ball. He was a bit more defensive as we pressed so high up not all three could go so had to have some discipline. Took some clever free kicks (we nearly scored with one 2nd half). Only real negative is his defensive play. He did make a few good tackles second half actually but a silly one first half led to another booking and at times he lets men run off him. I love him and Fleck but their weaknesses are not scoring goals or enough goals and letting quick midfield runners run off them with and without the ball. Duffy 7.5/10 – Thought he worked so hard today and dispelled the myth he does not track back or do other bits to his game. On the ball he prompted and probed and his lovely ball made the first goal. He was also involved and I felt a constant threat as they could not pick him up. It did not help Reading that they had defenders so deep receiving the ball so this created a lot of space between the defence and midfield which he exploited. He ran back a lot and won a lot of tackles also and not sure he dropped off at all and felt he kept his discipline today and completed 90 minutes which is a rarity! Hogan 7.5/10 – Only thing missing really was a goal. He linked well with Madine and held it up well but also ran the channels and was able to be a real outlet. He was a nuisance all game and showed good upper body strength to hold people off but also quite quick over a few yards (not lightening). He plays on defenders’ shoulder and 2 or 3 times got in but he either could not quite get his shot away or when he got in the keeper made a great save. Really impressive debut to say he has not played much and looked quite fit really. Madine 8/10 – Deserved Man of the Match. Involved all the time. He is far more mobile than I thought and led the line superbly. We did not just punt it to him and actually played to his chest and feet a lot. Everything stuck to him and when he had to go for it in the air, he won everything too. Their defence never had a moment. Such good upper body strength and worked so hard chasing back too. He showed some lovely touches and then of course ruthlessly smashed home two opportunistic goals. A great performance. With McGoldrick and Sharp doing so well; it will be a tough call next week but not sure how he can leave him out really after that display. Coutts – Perfect game to come on as we played keep ball. Did ok today and actually came out of a few areas cleverly with the ball and helped us on the attack. Got his foot in and did look a bit more mobile. Inevitable he will get some games with Norwood getting suspended sooner rather than later so we will need him to be like this in games when we are not already running away with it but today was a positive sign after it being a bit stop start for him. Stearman – Just came on and did a steady job really but the game was up at this stage and we had kind of settled and they had kind of settled at not conceding more. Dowell – Did not have long to make an impact really. Not sure he touched it that much in the time he was on.